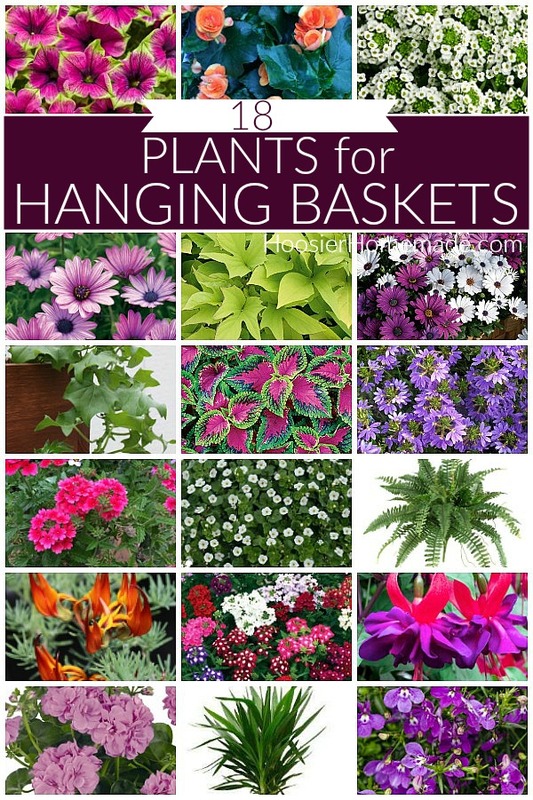 All types of plants can be grown in hanging baskets. Your choice of plants in baskets depends on both the size of the basket and the design. A common way to choosing plants in baskets is designing from the top down, starting with a thriller for your focal point. Then choosing the filler plant that occupies the base of the container. And finishing up with a spiller that adds texture and interest. 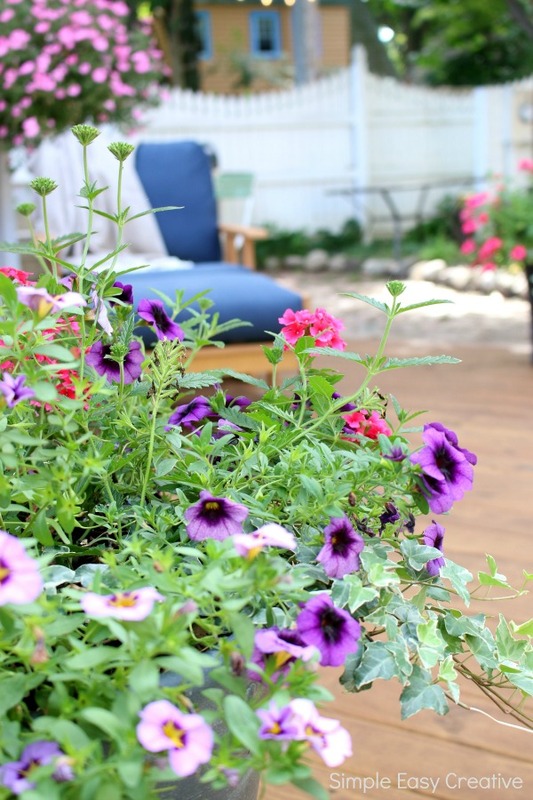 Both sun-loving and shade plants will appreciate a nutrient-rich soil in the hanging basket. And the use of water-absorbing granules and a basket with a reservoir can help manage the watering requirements and prevent them from drying out. 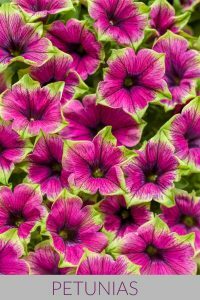 One of the most commonly used annuals for hanging baskets, petunias are hardy plants that bloom all season long. With dozens of color variations, there is sure to be one that suits your needs. Grandiflora varieties are known for their large showy flowers and the multiflora varieties produce numerous smaller blooms. There are many forms of geraniums that are used in containers. Some of the showiest blooms are from Zonal Hydrids that combine the trailing characteristics and larger blooms of other hybrids. Miniature and true dwarf varieties have delicate blooms that grow on a compact plant. 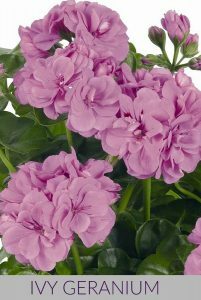 You can find geraniums in shades of apricot, burgundy, lavender, orange, pink, purple, red, and white. 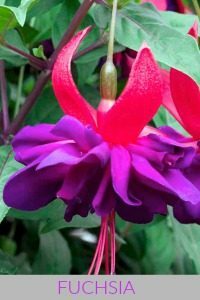 One of the best flowers for attracting hummingbirds to your garden. Their unique blooms set them apart from other plants for hanging baskets. 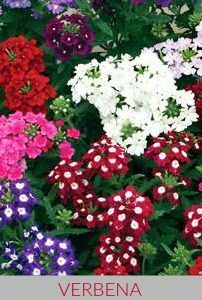 Strong bloomers in summer and fall they showcase flowers in hues of purple, red, orange, pink, and white on flowy foilage. 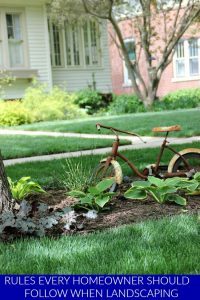 While they are known as annuals in colder climates, they can be grown as perennials in Zones 8, 9, and 10. These plants are well known for their ability to thrive in hanging baskets even during the most unyielding temperatures and dry conditions. When many plants slow down their flowering during hot dry summer conditions, Lantana thrives with colorful flowers of Purple, Red, Orange, White, Pink, and Yellow. Good for all containers, these also attract birds. Also known as Lemon Verbena for its’ fragrant lemony scent. 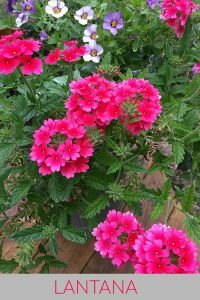 In hanging baskets and containers verbena can get leggy, but with some pruning throughout the growing season, you can keep your plants in shape. 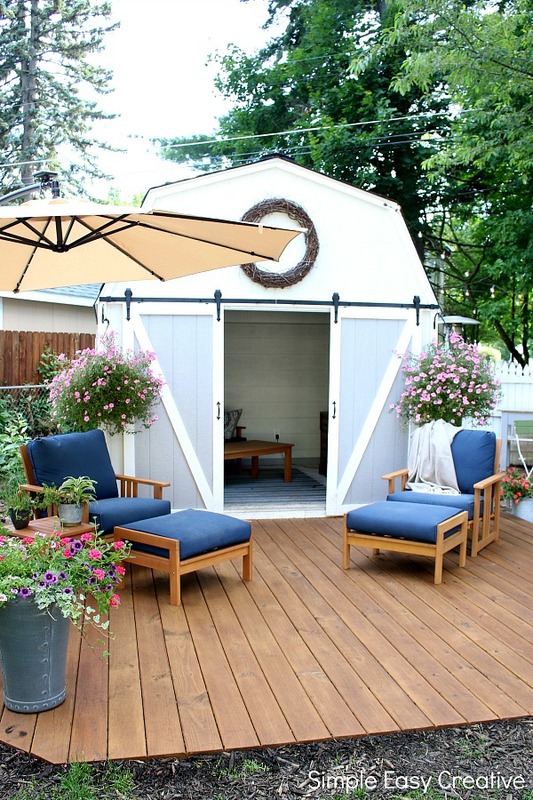 They do best in part shade and when well maintained will reward you with delicate white and pink flowers. Impatiens are the workhorse of flowers for hanging baskets. There seems to be a variety for every situation you could think of and in shades ranging from Blue, Purple, Red, Orange, Coral, White, Pink, and Yellow. 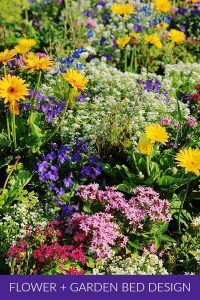 These flowers need no maintenance with the exception of monthly feedings to give you hundreds of blooms throughout the season. They are the first plants to succumb to frost so protect them from late-spring and early fall frosts. Tuberous Begonias generally do best in morning sun and afternoon shade. They are heavy feeders and require more food than most flowers, use a slow-release fertilizer and monthly doses of liquid fertilizer throughout the summer. 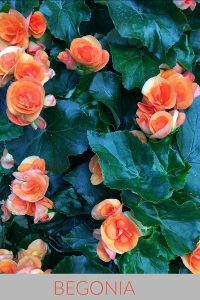 Tuberous Begonias are available in almost every color except blue and purple. They can be a messy plant since their blossoms drop after they are spent. 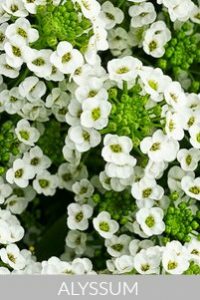 Sweet Alyssum has a light honey fragrance and is great for attracting pollinators to your garden. 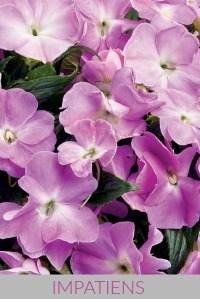 It will add dainty, delicate flowers in hues of purple, white, and pink to your containers. Alyssum is also great to use as filler between young perennials in your landscape beds. 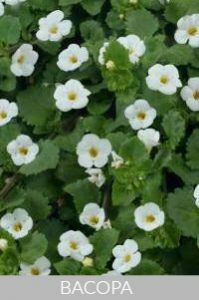 Bacopa is one of the newer flowers to be used in containers. With delicate flowers in pink, blue, and white it has found a use in smaller hanging basket designs. Daisy-like blooms on sturdy stems make this a great plant to use in containers and for cut flowers. 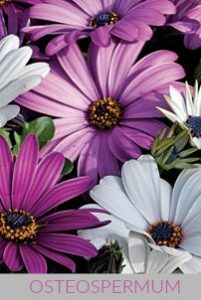 You can find varieties with blooms ranging from purple, orange, white, pink, and yellow. Bird lovers will love adding this plant to their garden. 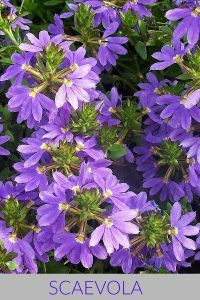 Scaevola has a trailing and cascading habit making it a highly sought after plant for hanging baskets. 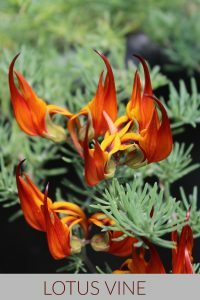 Native to Australia this plant has good drought tolerance and like all flowers suited for use in containers requires little maintenance. 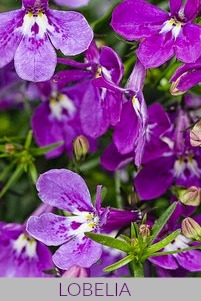 Plants are available with blue, purple, white, and pink flowers. Lobelia produces some of the most striking, vibrant colored red and blue flowers. You can find them in hues of white and pink flowers as well. They do well in hanging baskets and containers and as cut flowers. They also attract birds to your garden. Dracaena adds a dramatic centerpiece to containers and hanging baskets. It’s green or variegated foliage with an upright growth provides a strong focal point. Given the right growing conditions, it occasionally set clusters of small, fragrant white flowers. 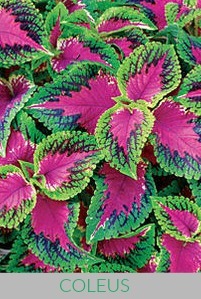 It seems the color variations available is almost as endless as the leaf shapes and textures of the Coleus plant. 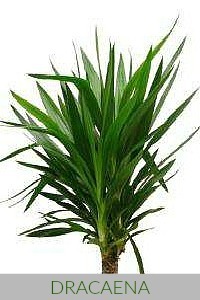 Originally used as a houseplant it has found wide use in hanging baskets and containers for its’ striking appearance. Coleus is one of the easiest plants to propagate through stem cuttings. Using Lotus Vine, Parrot’s Beak in hanging baskets and containers gives them a unique look. Vibrant red and orange intricate blooms and lacy silver foliage add a nice contrast to your plantings. This plant will be at its’ best when the nights are cool. 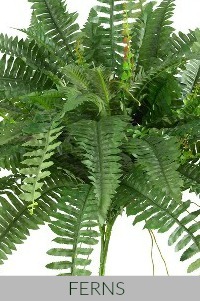 Ferns add texture to the plantings in your containers. 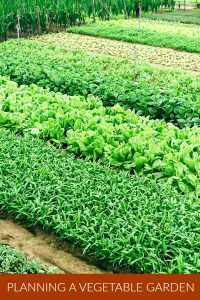 Commonly used ferns that can be found in most greenhouses are Japanese Painted Fern, Asparagus Fern, and Wavy Cloak Fern. 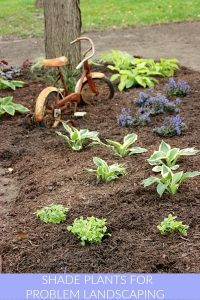 They each have their own unique looks and add loads of texture to your plantings. Sweet Potato Vine, Ipomoea batatas has become a staple for designing hanging baskets and containers. A vigorous grower that has gives interesting foliage shapes and colors including greenish-gold and purple (‘Marguerite’). 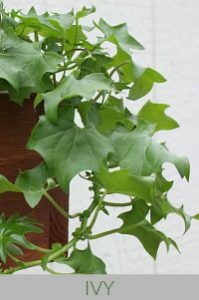 English Ivy and Grape Ivy are well known for use in hanging baskets. There are many more to choose from that can help change the look of your planters. 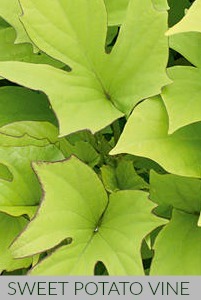 Try German Ivy for a lighter green foliage accent.